Setting up a Google Maps Business View photo shoot is easy. Step 1) You’ll need to have a Google Places for business listing. 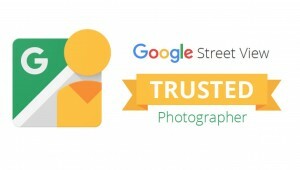 If you you don’t have one, Claim your free Google Places for Business listing or verify if your business is already listed in Google+ Local below here (approval of verfication may take up to 2-3 weeks for new businesses, however, we can assist with possibly expediting the process to only a couple days ). Business Walk 360 staff can assist you should you have any questions. Step 2) Sign up for a free consultation or book a photo shoot here. Cost of photo shoot is based on the number of virtual tour 360 degree photos (spins or hot spots) you need to do walk through of your business. To better gauge how many virtual tour spins your 360 tour will need, just remember that your virtual tour path can’t go through walls or glass and cannot go through any major barriers such as tables or chairs. Having more points means you will be able to see more details of your store. This is particularly useful if you want to show more rooms or more products throughout your business. Step 3) Staff will contact you to further discuss your business, pricing, and any special requests you have for your virtual tour and feature photos. Once an agreement has been made and a service agreement is signed, we will schedule a photo shoot to photograph your virtual tour & feature photos. Duration of a smaller size photo shoot lasts anywhere from about an hour to a couple hours. Shoot time may vary based on number of panoramic photos requested & feature photos purchased along with external factors like weather, time of day of shoot, and location availability.